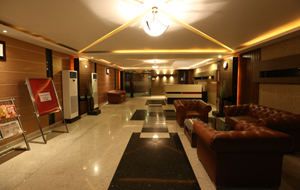 Our Hotel promises sheer abundance of goodness and luxury to its guests and proves to be a haven of peace and joy. The well appointed guest rooms are designed with high-end aesthetics and utmost passion so as to make the guests feel relaxed and composed at THE CONTOUR HOTEL. The Contour Hotel is a venture of the Ghosh Brothers Motors Pvt Ltd , they are also the dealers of TATA Motors and Honda along with thier foray into Construction, Real Estate and Manufacturing. Ghosh Brothers Motor Pvt. Ltd. are the avid dealers of Tata Motor & Honda. The Ghosh Brothers’ are also into Construction & Real Estates and are all set to expand their industry with a manufacturing unit of steel. THE CONTOUR HOTEL knows its guests and therefore takes care in every possible way. The services and facilities expand from room to leisure and security realms wherein each and every aspect is taken care of. We are blessed with staffs that are highly prompt and sensitive to its guests’ needs. They strive 24×7 and offer the best possible service to make the guests contented. The thoughtfully edged facilities ensure a stay that is relaxed and extraordinary.